Download a PDF Version of this course. We are specialists in providing on site basic plumbing training for people who have little or no skills in the area of simple site maintenance involving water supplies and heating. These may include Building and Site Maintenance staff, caretakers, service engineers, anyone who will benefit from an increase of knowledge, skill and confidence of carrying out on site plumbing maintenance with the seal of certification. This course is aimed at people who have the responsibility for the upkeep of buildings who would benefit from an improvement in their ability to carry out simple plumbing repairs. 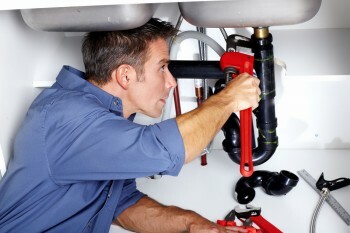 These course are aimed at business and not individuals who would like to learn DIY plumbing. This course, delivered by professional qualified plumbers with years of experience in the trade, is aimed at the relatively simple repairs that can be carried out to save time and ultimately costs. During the course the attendees will be given the opportunity to carry out practical tasks to gain confidence. Like all our courses this training will be delivered in a professional manner yet at the same time deliberately intended to be enjoyable for the attendees. Our aim is always that people learn but people also enjoy.